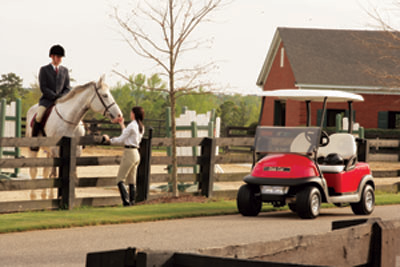 The golf car business, including ours, has evolved and now is more about transportation. 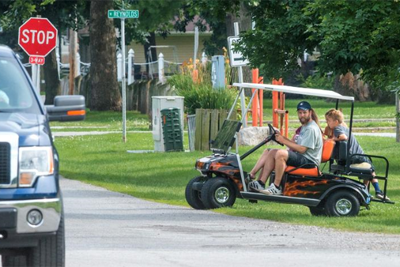 Towns and villages, since the state made it possible, are passing ordinances to allow golf type vehicles on the streets they are responsible for. 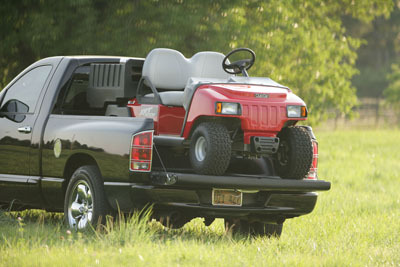 Many have a "tricked out golf car" not only towns and villages but the campgrounds. (Click here) to visit our YouTube channel. 5 Creative Ways Golf Cars are Used? It may be time to change the term, "golf car" to "everything car" because it seems as if golf car owners are continuously finding creative ways to use their cars to improve their lives in awesome ways. Sure, we still see golf cars on the green, but they are also in the woods, by the lake, and casually cruising through neighborhoods. 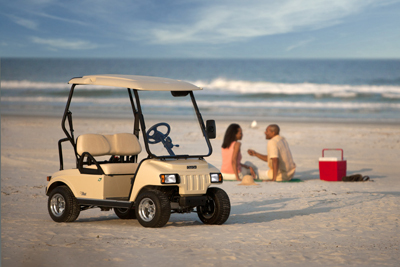 Your customers are using their golf cars for multiple purposes, which opens doors to maximize golf car marketing potential. When Sherry and Mark Miller tied the knot in 2001, they received what has become one of their most prized possessions. It wasn't fine china, crystal or silver. It was a 17-year-old purple golf cart. "We called it Barney," Sherry Miller said with a laugh, adding it was handed down to them by her in-laws - Ed and Barb Miller, of Champaign - when they upgraded to a new low-speed vehicle.